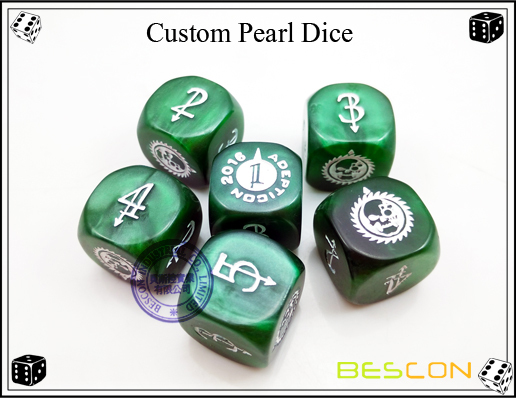 Our Custom Engraved Pearl Dice are perfect for board games, promotions, and much more. 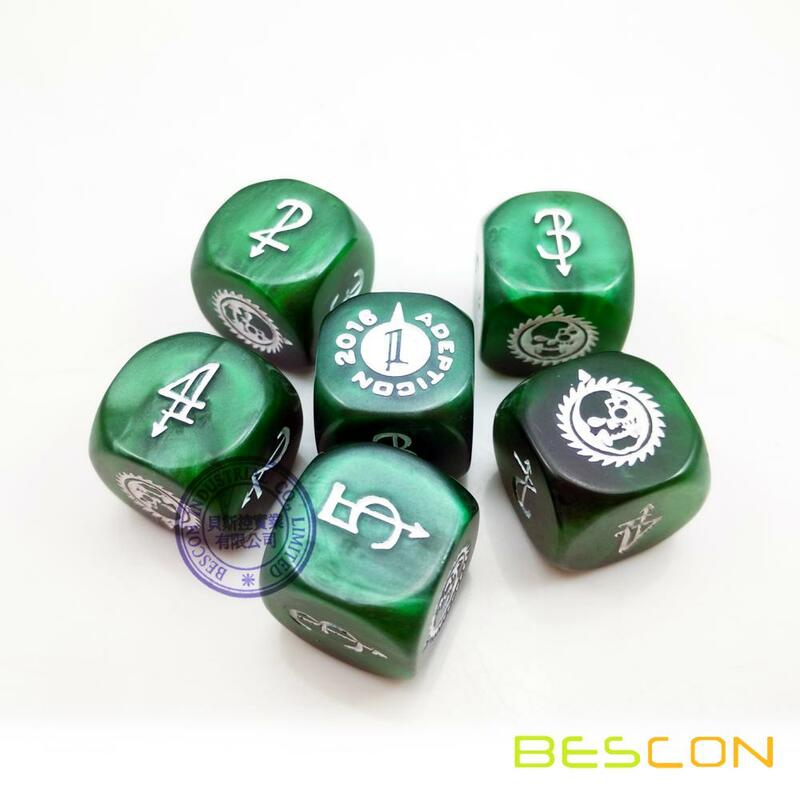 The Dice feature your design on one to six sides of the Dice. 5/8" Game Board Size Dice, 3/4" Casino Size Dice, 1" Oversized and all the other custom size is available. 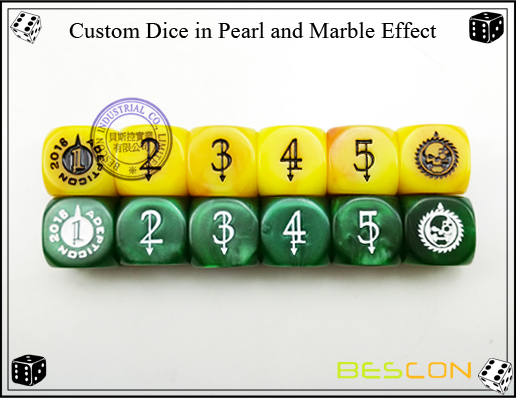 These dice has special pearl effect. 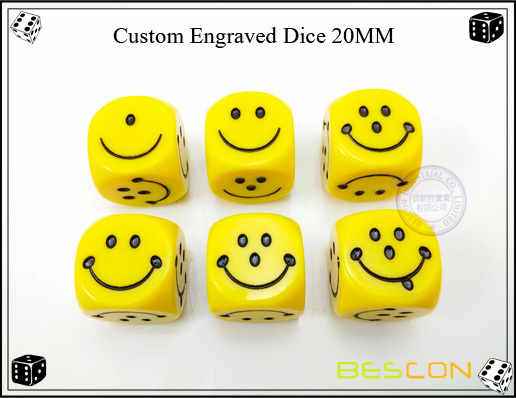 The engraved areas of the Dice can be colored/filled with the print colors of your choice. Multiple color imprints are available. 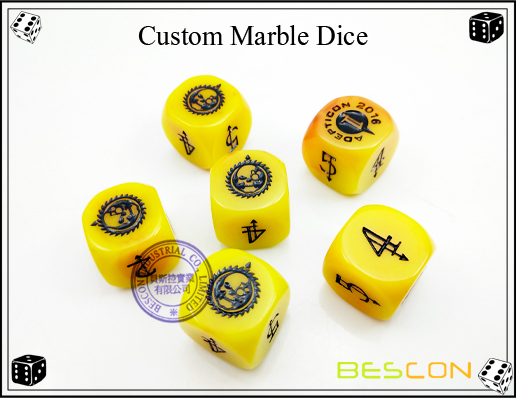 Looking for ideal Custom Pearlized Dice Manufacturer & supplier ? We have a wide selection at great prices to help you get creative. 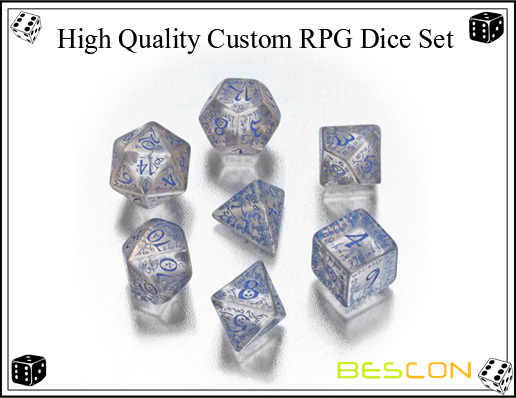 All the Customized Pearl Dice are quality guaranteed. 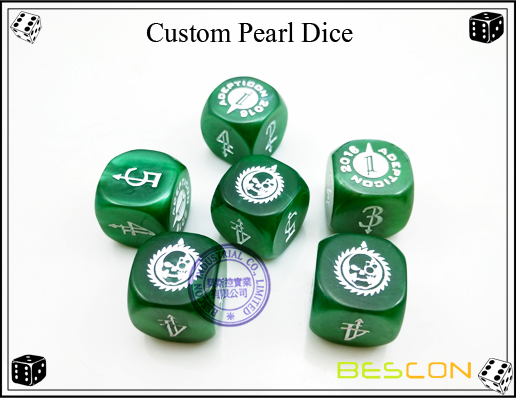 We are China Origin Factory of Personalized Pearl Dice. If you have any question, please feel free to contact us.